Injured persons in bus, train and public transit accidents may claim for damages against the bus or train operator, as well as the municipality if there is contributory negligence. Although less frequently than car accidents, Canadians are injured in bus and train accidents every year. In addition to injuries caused to the bus or train passengers, pedestrians and other vehicle occupants often suffer serious injury in collisions with these larger vehicles. From a personal injury liability standpoint, bus and train accidents can be more complicated in terms of multiple ‘at fault’ parties. If the accident was caused by a public transit vehicle, such as a bus or subway, the municipality may be liable for injuries that result. When private bus or train companies are at fault in causing injury, then both the private operator and the municipality may bear responsibility for the accident, particularly when someone is injured near or at a bus or train station, where the public should be able to safely embark or disembark. ILO personal injury lawyers have zealously represented many Ontario residents in car, bus and train accidents. If you were seriously injured in a public transit, bus or train accident, call an experienced ILO bus accident lawyer in your community to find out about your rights for compensation. When we ascertain the particulars of your accident, we can advise you on your best options; if you choose to go ahead with a claim, our ILO team will build a strong case and work to negotiate optimal settlement for you and your family. If negligence on the part of the bus or train operator was a factor in your accident, you can make a claim against the responsible party for damages. ‘Damages’ include a valuation of your financial losses (pecuniary damages) and the pain and suffering (non-pecuniary damages) that resulted from your injuries. Pecuniary damages may include loss of past income, estimated future income loss, medical and rehabilitation costs, home maintenance and housekeeping expenses and family expenses. 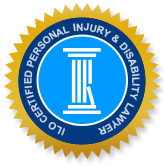 In any accident involving a motor vehicle, injured persons may also make a claim for injury compensation against their automobile insurance policy. This option, termed 'statutory accident insurance benefits' (SABS), is available to all Ontario residents under the Ontario Insurance Act, and is available to you whether or not you were at fault in causing the accident. The amount of benefits that an injured person is eligible to receive under SABS is directly related to the severity of injury they incurred. Someone who was catastrophically injured, according to SABS guidelines, is eligible for more substantial financial support than someone with minor injuries. The lack of constraints such as seatbelts in busses and trains can result in devastating injuries when occupants are thrust forward or throw around during a crash. The most com;lomon injuries are whiplash and spinal injuries, fractures, cuts, bruises and head injuries. In pedestrian accidents, the resulting injuries are often severe and in such accidents, death most often results when there was a significant brain or head injury. Injuries resulting from bus or train accidents may occur under a variety of circumstances, and in all cases, accident victims are eligible to make a claim for compensation against the operator or driver responsible for causing their injury. In November of 2015, a tour bus crash occurred north of Barrie and resulted in injuries to 15 passengers. The driver allegedly lost control of the bus and hit a traffic sign at the side of the highway. OPP reported that there would be an investigation of driver actions leading up to the incident. A small school bus flipped onto its side after colliding with another vehicle in Ottawa, in November 2015. Fortunately the children aboard the bus suffered only minor injuries in the crash, which is being investigated to determine whether charges will be laid. 13 people were injured and one was killed in a multi-vehicle crash involving a TTC bus in Scarborough in August 2013. A witness reported seeing the driver of the truck that caused the crash talking on his cell phone just prior to the accident. A Toronto woman sustained life-threatening injuries after being hit by a TTC bus on Eglinton Avenue in January 2013. A similar incident occurred in December 2012, when a female pedestrian was hit by a TTC bus on Yonge Street. In the latter incident, Toronto police investigated whether to lay charges on the bus driver. A woman was fatally injured when a TTC bus crashed into a flatbed truck in August 2011. A lawsuit has been initiated naming the TTC, bus driver, truck driver and trucking company as negligent in causing the accident. It is alleged that the bus driver was driving under the influence of marijuana and also, that the truck was not mechanically sound and the truck driver was said to have slowed down without warning. Bus accident and car accident injuries can result in a permanent impact on the lives of a seriously injured person and their families. The injured person often has to cope with pain, diminished abilities and mobility, and a reduced enjoyment in life. There is also often a significant impact on family members who provide caregiving functions and support for their loved one, often at the cost of their own jobs and former interests. In 2014, a physician was involved in a car accident involving a transit bus and a snow plow that proved to have life-changing repercussions. Dr. Wallman’s car was rear-ended by a transit bus after he came to an abrupt halt at an intersection where a snow plow failed to stop for a red light under slippery road conditions. As a result of the collision, Dr. Wallman suffered a debilitating concussion which severely impacts his cognitive abilities and behaviour. At the time of the car accident, Dr. Wallman was a dedicated and hard-working doctor, but his injuries have impacted his abilities to the extent that he is unable to return to work as an emergency room physician or pursue his side-line as a real estate developer. In Wallman v. John Doe, 2014, Dr. Wallman sued BC Transit, Whistler Transit Ltd, the snow plow driver and the snow plow company for their negligence in causing his injury. The court found the defendants liable and awarded the physician $5.9 Million in damages. The damages reflect the substantial loss of income incurred by Dr. Wallman. ILO bus accident lawyers offer a free no-obligation consultation. Whether you are a pedestrian or vehicle occupant who was injured in a car, train or bus accident, you may be eligible for compensation for your losses. Give us a call today to determine where you stand with regards to making a potential claim.